One of the striking characteristics of Britain’s current general election has been how very domestic the agenda has been: the NHS, job creation, the cost of living and so forth. Perhaps it is because I live in London, one of the world’s truly global cities, and write and broadcast about international affairs that I find so much of what the politicians are saying or putting in their leaflets dreadfully parochial. Of course local issues matter, but they need to be discussed in the wider context of what is happening globally, not just in economics but regarding the environment, migration, demographic trends and so forth. Moreover, despite UKIP’s higher profile than ever before in a British General election there has been remarkably little discussion about Britain’s role in the SU and the EU’s role in the world either, other than some very basic UKIP’s “we want to leave” and Labour and the Liberal Democrats saying “we should stay” (what the Tories say on the issue depends on which Conservative candidate you speak to). 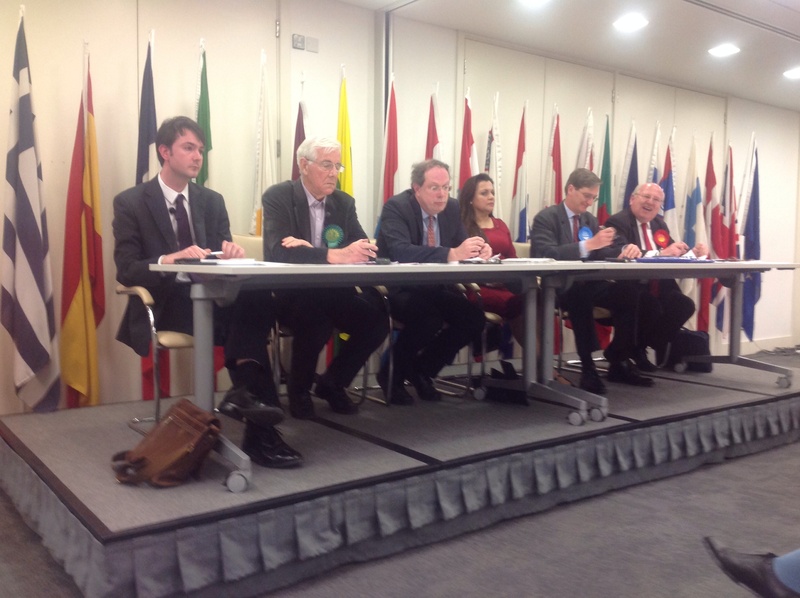 So it was a very welcome initiative on the part of the London branch of the European Movement, London4Europe, the other evening to put on a hustings for candidates from the five main parties at Europe House in Westminster. Interestingly, Mike Gapes for Labour and Dominic Grieve for the Conservatives were both more enthusiastically pro-EU and better informed than their national parties appear on the matter. Anuja Prashar for the Liberal Democrats (incidentally the only woman and only BAME candidate on the panel) not only stood up for the LibDems’ championing of our EU membership but was the only person really to contextualise the debate in 21st century global trends, not least the rise of the BRICS. 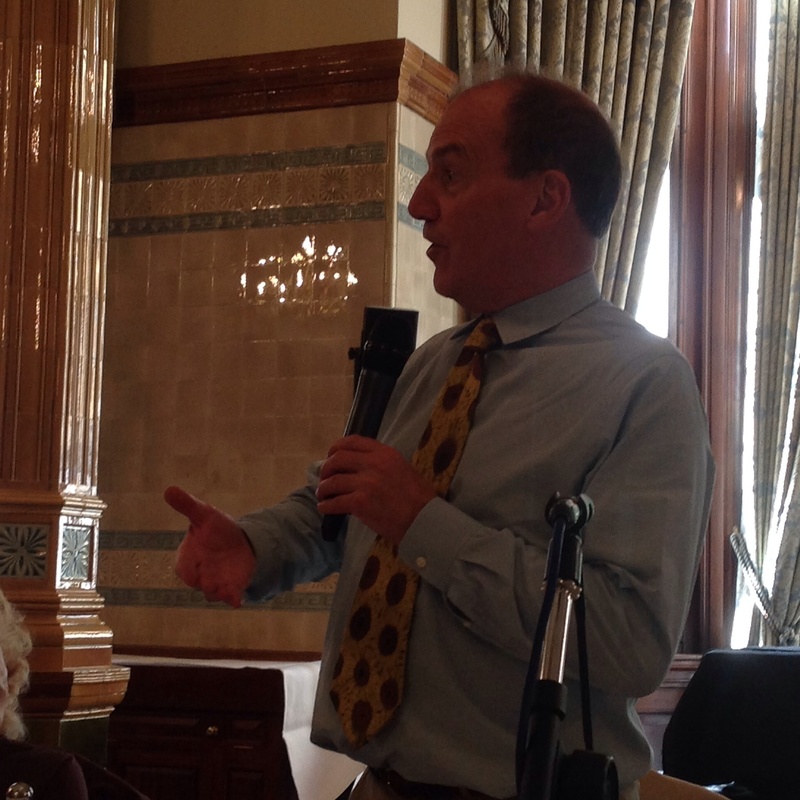 Hugh Small spoke very competently from the Greens, whereas poor Robert Stephenson for UKIP was very much a fish out of water in this essentially pro-EU environment.